as recorded by Roxy Music. Roxy Music recorded as a tribute to John Lennon after his murder in December 1980. The band did what was intended to be a one off performance as a tribute to Lennon at a show in Dortmund on 19th December 1980 less than 2 weeks after his death. This was a song Bryan Ferry had always intended to record at some point and felt this was a fitting time to do so. 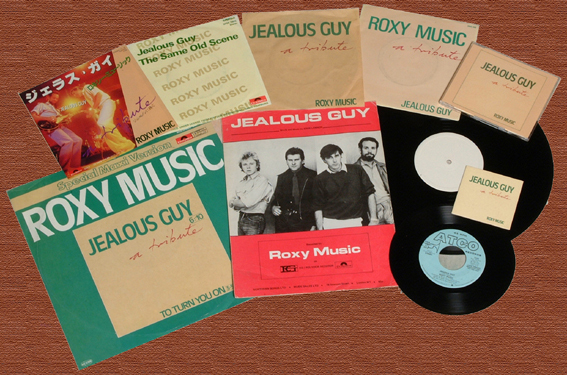 It became Roxy Music's only UK number 1 on 10th March 1981, maintaining the top spot for 2 weeks. This was the second longest number 1 (after Bohemian Rhapsody) at the time of its release at a length of 6:10. The song was added to the live set during the 1980/81 tour and has featured in every Roxy Music or Bryan Ferry solo tour since including Live Aid in 1985. Gallery Recording Studio The musicians have never been credited for this track on any Roxy Music product.